Easily recognised by its spotted coat and black ‘tear marks’ below its eyes, the cheetah is known as the fastest land animal in the world – reaching speeds of up to 75mph. Sadly, cheetahs are at risk and listed as vulnerable due to habitat loss, poaching, illegal pet trade, and conflict with humans. Cheetah cubs are also often trafficked out of Africa to feed the growing illegal demand for pets in the Middle East. Funds from your adoption will support the lifetime care for rescued cheetahs at our santuary in Ethiopia and help conserve wild populations across Africa. 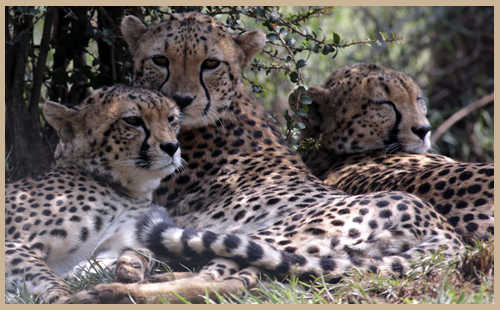 You can help ensure their future by adopting our cheetah family below. This family of cats were each rescued from the illegal wildlife trade. Confiscated in Somaliland, the cheetahs were being sold as exotic pets. Help us provide the care they need.